2017 The 38th AMLC Scientific Meeting was jointly sponsored by Universidad Autónoma de Yucatán (UADY), Universidad Nacional Autónoma de México (UNAM), and CINVESTAV Unidad Mérida (CINVESTAV) from May 22-26 in Mérida, Yucatán, México. 2015 The 37th AMLC Scientific Meeting was sponsored by the CARMABI Research Station and hosted by AMLC President Mark Vermeij from May 18-22 in Curaçao. 2013 The 36th AMLC Scientific Meeting was sponsored by the Discovery Bay Marine Laboratory, University of the West Indies and hosted by AMLC President Peter Gayle from June 17-21 in Jamaica. 2011 The 35th AMLC Scientific Meeting was sponsored by the Centro de Investigación en Ciencias del Mar y Limnología (CIMAR), Universidad de Costa Rica and hosted by AMLC President Jorge Cortés from May 23-27 in Costa Rica. 2009 The 34th AMLC Scientific Meeting was sponsored by the Institute for Tropical Marine Ecology (ITME) and hosted by AMLC President Sascha Steiner from May 25-29, 2009 in Roseau, Commonwealth of Dominica. 2007 The 33rd AMLC Scientific Meeting was sponsored by the University of the Virgin Islands and hosted by AMLC President Rick Nemeth from June 4-8, 2007 in St. Thomas, U.S. Virgin Islands. This was the AMLC’s 50th Anniversary since its founding in 1957. 2005 The 32nd AMLC Scientific Meeting was sponsored by the Curaçao Sea Aquarium and hosted by AMLC President Steve Piontek from June 13-17, 2005 in Bapor Kibra, Curaçao. 2003 The 31st AMLC Scientific Meeting was sponsored by Trinidad & Tobago Institute of Marine Affairs and hosted by AMLC President Hazel McShine from July 14-18, 2003 in Port of Spain. 2001 The 30th AMLC Scientific Meeting was sponsored by the University of Puerto Rico and hosted by AMLC President Ernesto Weil from June 24-29, 2001 in La Parguera, Puerto Rico. 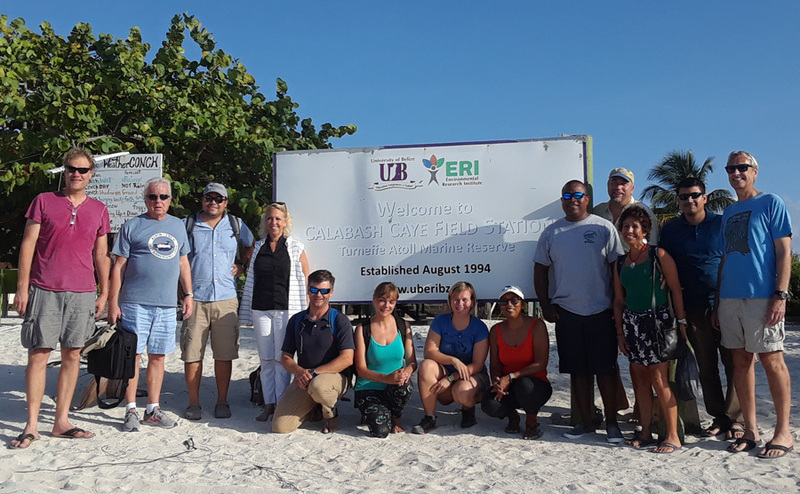 2018 The 2018 AMLC Executive Board meeting was sponsored by the University of Belize Calabash Caye Field Station, and hosted by AMLC President, Dr. Leandra Cho-Ricketts in Belize from May 13-16, 2018. 2016 The 2016 AMLC Executive Board meeting was sponsored by the Center for Marine Resource Studies, The School for Field Studies and hosted by AMLC President, Dr. Heidi Hertler in South Caicos from May 13-14, 2016. 2014 The 2014 AMLC Executive Board meeting was sponsored by the Mote Marine Laboratory (MML) and hosted by AMLC President, Dr. Michael Crosby in Key West, Florida from May 27-30, 2014. 2012 The 2012 AMLC Executive Board meeting was sponsored by the CIEE Research Station Bonaire and hosted by AMLC President Rita Peachey in Kralendijk, Bonaire from May 22-25, 2012. 2010 The 2010 AMLC Executive Board meeting was sponsored by the Smithsonian Tropical Research Institute and hosted by AMLC President Rachel Collin in Bocas del Toro, Panamá from May 20-22, 2010. 2008 The 2008 AMLC Executive Board Meeting was sponsored by the National Coral Reef Institute of Nova Southeastern University in Dania Beach, Florida, and hosted by AMLC President Bernhard Riegl from July 12, 2008. This was the Saturday following the close of the 11th International Coral Reef Symposium in Ft. Lauderdale, Florida. 2006 The 2006 AMLC Executive Board Meeting was sponsored by the Bermuda Institute of Ocean Sciences and hosted by AMLC President Tony Knap from June 15-17, 2006 St. George’s, Bermuda. 2004 The 2004 AMLC Executive Board Meeting was sponsored by St. George’s University and hosted by AMLC President Clare Morrall from July 22-24 in St. George’s, Grenada. 2002 The 2002 AMLC Executive Board Meeting was sponsored by CINVESTAV and hosted by AMLC President Dalila Aldana Aranda from July 10-13 in Mérida, México.